Cup finals don’t happen every day. Ernesto Valverdeknows that only too well, and that’s why he’s not leaving anyone in Barcelona to watch it all on TV this Saturday. Barça take on Sevilla in what we are all hoping is the first part of the club’s eighth league and cup double, and the boss is taking every member of his squad to the Wanda Metropolitano in Madrid for the 9.30pm CET kick-off. So, the travelling party is as follows: Ter Stegen, Cillessen, Semedo, Piqué, Rakitic, Sergio Busquets, Denis Suárez, Iniesta, Luis Suárez, Messi, Dembélé, Coutinho, Paulinho, Paco Alcácer, Jordi Alba, Digne, Sergi Roberto, André Gomes, Aleix Vidal, Umtiti, Yerry Mina and Vermaelen. 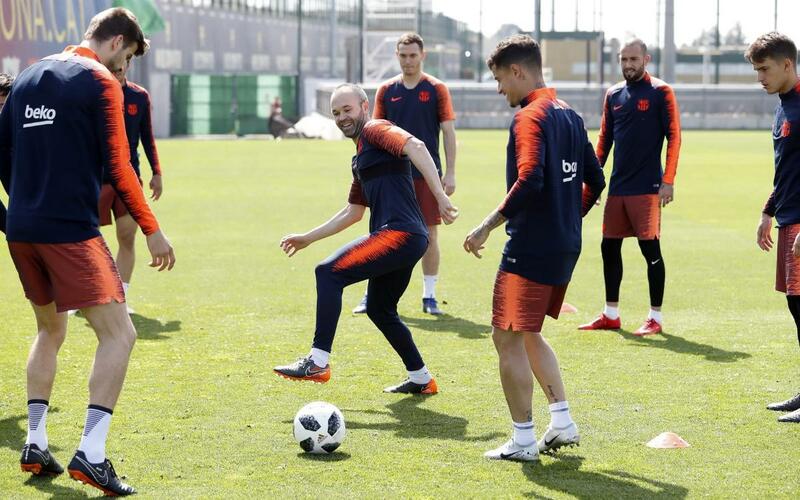 With no injuries or suspensions to worry about, the full squad plus Carles Aleñá of Barça B were together at the Ciutat Esportiva Joan Gamper on Friday afternoon for the last workout before flying to the Spanish capital at around 11.00am on the morning of the match.